Register for the Wildcat Walk & Run 4 Miler today! 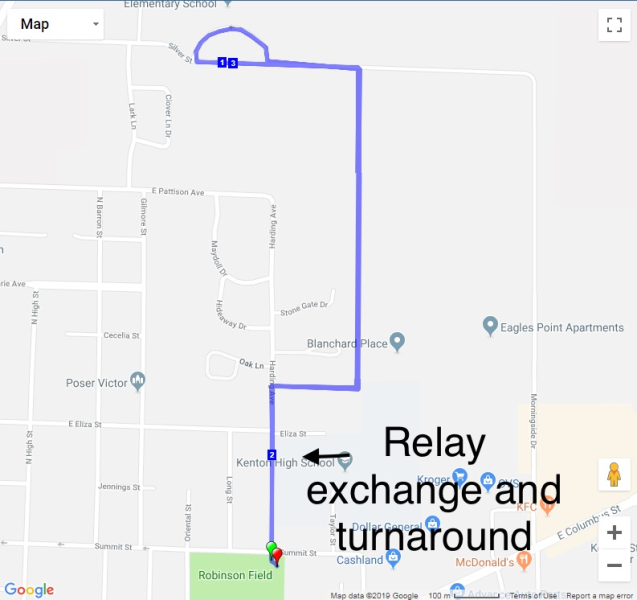 The Wildcat Walk & Run is now a 4 mile race with a two person relay option (2 miles per runner)! It is a fast and flat course running from Robinson Field to the elementary school and back. We will also have the .5 Kids Fun Run right on the Wildcat track! Join us at the finish for some refreshments,Wildcat booster merchandise, and a pic with the Wildcat mascot! Money raised from this event will benefit the Kenton Elementary PTO, providing funding for enrichment programs and field trips for KES students and staff. Join us on Saturday, May 18th for this awesome family and community event!" Paper registration as well as race day registration is available for those who do not wish to register online. There will be a $5.00 fee assessed for all paper and race day registrations. * For more information, or to receive a paper registration form, please contact the Race Director through this site.